One thing the first month and half of 2018 has made very clear: Google is going all guns blazing to push Google Assistant use across its hardware portfolio. The most common use-cases are checking Assistant results on your smartphone or hearing them on a Google Home smart speaker, but Google wants to bring it to other categories as well. It seems to be rolling out yet another type of response for the Google Assistant, a visual one, on connected Chromecast TVs. This feature was first announced at Google I/O back in May of last year and its rollout has been awaited ever since. It is only now rolling out and was discovered by Redditors, many of whom said that they’re able to get in-depth weather information on their Chromecast-enabled TVs. In contrast, earlier you could only see the current temperature at your location. 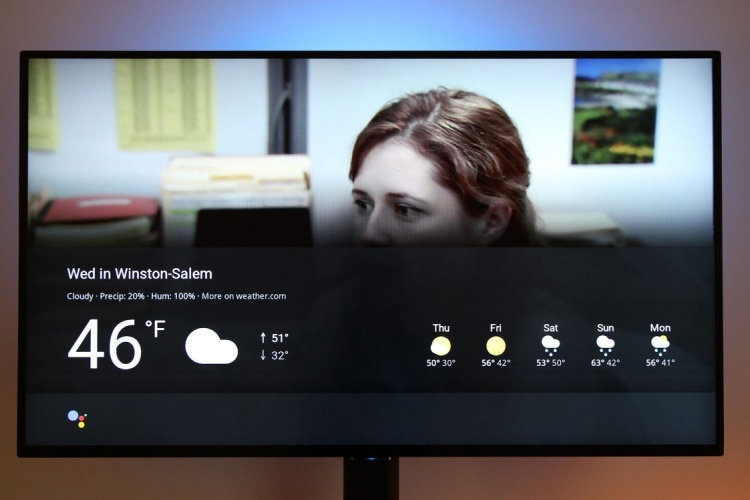 However, you can now simply call out commands like “Hey Google, show me the weather on my TV” or “Ok Google, show me the weather” while your Chromecast TV is powered on to see the visual card pull up over the content on your screen. It not only shows the current temperature, but also displays a forecast for the next five days as well. This means Google Assistant may soon also be able to show even more info, for other third-party apps, on your TV screen. As pointed out by Android Police, a Google support page for this feature lists the devices that will support this feature. And it looks like that you may only be able to query Google Home speakers, and not your phone, to display info on a Chromecast TV. It also doesn’t support 1st-gen Chromecast and Android TV devices, which comes as a setback for many users. The contextual visual experience has currently gone live in select locations, possibly only the United States at the moment. But we are not able to confirm the same, so if your Google Home-Chromecast TV combo is showing this weather banner, let us know in the comments below.